January 22nd 2013. Premier League Aston Villa have just been dumped out of the cup in pathetic style by League 2 Bradford City. Take nothing away from Bradford – they held their composure and were brilliant across both legs. Don’t get me wrong, they completely deserve their trip to Wembley. But questions simply have to be asked when any Premier League team, let alone Villa, can’t hold their own and beat a League 2 side over two legs. Three days later, calls for ‘Lambert Out’ grow even louder. It’s deja vu when Villa fall foul of their inability to defend corners again, as they are dumped out of the FA Cup 2-1 by Championship side Millwall. But this doesn’t come as a shock to most fans. Villa have been on a rapid decline from before Norwich City, Paul Lambert’s last club, even came back in to the Premier League. Villa have had a number of unsuccessful managerial appointments in the 2000’s since the departure of one certain John Gregory. Graham Taylor, David O’Leary, Gerard Houllier, Alex McLeish and now Paul Lambert have all struggled at this club. It’s only Martin O’Neill’s tenure as boss combined with Lerner’s £millions that turned Villa in to something we hadn’t seen for years. But regardless of O’Neill’s time here, there’s one thing all of those managers post-Gregory have in common. They all walked away from this club with very little to shout about, or, to be blunt, no honours. So why should we be surprised that Villa are achieving, well, er… underachievement? We had a decent three-year spell under O’Neill but what about before that? We flirted with relegation a couple of times, had a couple of top-half finishes but mostly underperformed considering the status of the club. It was always going to be a difficult task for any manager at this club to follow on from O’Neill. 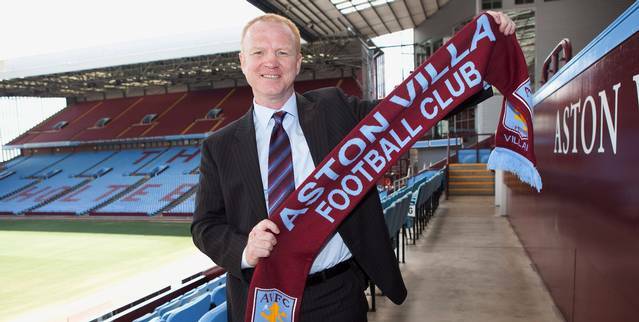 After the controversial appointment of Alex McLeish, anybody that walked in to this club was always going to be welcomed with open arms – be it Paul Lambert or Mr. Blobby. But that doesn’t excuse the club’s naivety on every level. From Lerner’s cost-cutting and wage-trimming (fair enough, it has to be done, but is getting it out of the way as quickly as possible, whilst damaging the club’s reputation and position really the best possible method?) 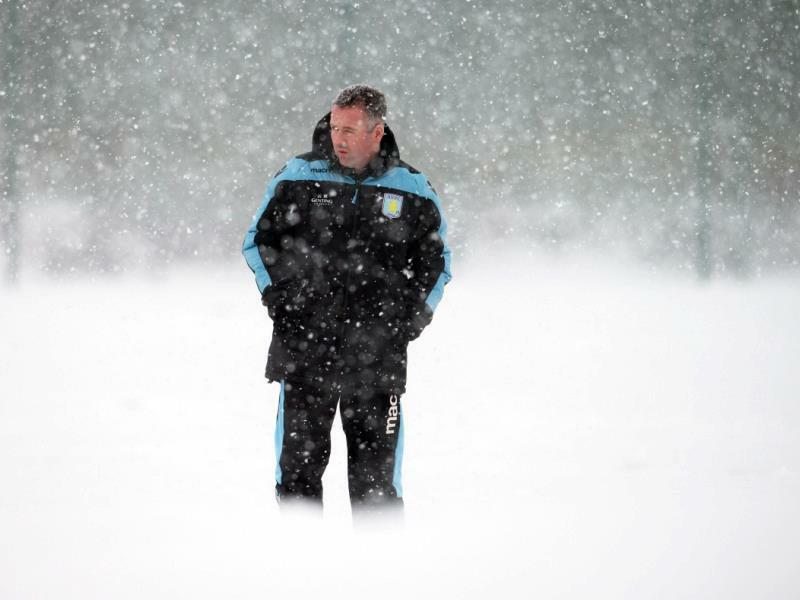 to Lambert’s arguably poor tactics, Aston Villa have turned in to a naïve and stubborn club. For example, although singled out by many fans last year, the club’s treatment of Stephen Warnock and Alan Hutton has been nothing short of unprofessional. For those who don’t know, Warnock has now returned from his short-term loan spell with Bolton and is back at Villa – training with the kids. He has had no explanation as to why he’s not deemed good enough for the first team and doesn’t even get to talk to the manager, according to his wife, Laura. Then you take into account the club’s poor treatment of McLeish (who, in my opinion, was quite clearly a stop-gap for the club and a manager that would take the blame away from Lerner,) plus the fact that Houllier could have died in this job (surely the club should have extensively checked his health reports before appointing him as manager?) it shows a complete lack of football knowledge right from the top. Oh and of course there’s the compensation we’ve had to pay to Martin O’Neill, Gerard Houllier, Gary McAllister, Alex McLeish… the list goes on. The club is currently poorly run by a guy who, from the outside, was happy to splash his cash until the likes of Manchester City came along and now it looks as though he’s almost given up and is trying to balance the books for a quick sale. And if the latter is true, would you blame him? We’ve already seen the likes of Gareth Barry, Ashley Young, Brad Friedel, Stewart Downing and James Milner let go to try and recoup some of the money poorly invested in the club. But after such a bright start – the Acorns shirt deal, the Holte Pub refurbishment, the English backbone to the club, the highest attendance and best results the club had seen for years… where did it all go wrong? Why such a rapid decline? 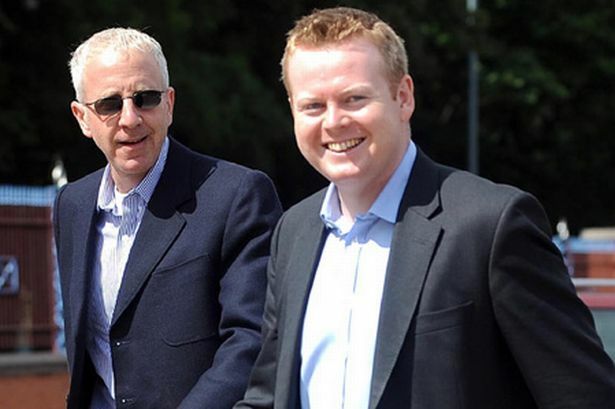 Lerner has ploughed substantial wealth in to the club’s transfer efforts, with £140 million of that during O’Neill’s time at the club – which was obviously great for every supporter of this club. But it was the wages and fees which caused some concern and now has a long-lasting effect on our books. With those such as Habib Beye (£2.5m), Steve Sidwell (£5.5m), Curtis Davies (£10m), Emile Heskey (£3.5m), Zat Knight (£3.5m), Marlon Harewood (£3.5m) on the books and all purchased for, let’s be honest, extortionate fees which surpass their ability… not to mention the fact that their wages ranged between £35,000 a week to £65,000 a week, it’s no surprise that Lerner is being strict. But where is the line in the sand? The club returned very little for these high fees and wages, despite brilliant opportunities with two trips to Wembley in one season. Fast forward a few years and we’re the complete opposite. Wages are lesser, players are younger and fees are little. 2013’s backbone consists of younger players and a couple of the old guards (Agbonlahor, Guzan) but it’s just not enough to produce results. But where do you find the balance? Lambert’s policy of buying younger players is great for the future – but we need some stability now. I think Lowton, Westwood, Benteke et al. have all been fantastic buys and will really shine for this club for the foreseeable future; but not if we get relegated. Obviously, the well-documented loss of Petrov has been a massive blow, but as a team we should be able to cope, or at least replace a player that is so detrimental to our play. Whether it’s Lerner not allowing any funds or Lambert not wanting to sign anyone eminently to try and help this football club, whichever way you look at it, it is incredibly naïve. With the news that the bottom club in the Premier League will receive at least £60 million (sixty-million) from television rights in the 2013/14 season – that’s more than Manchester City received last season – surely you’d allow yourself to loosen the financial restraints for one season as you would more than recoup it the following year from staying in the Premier League. And on that note, it baffles me as to why those in charge aren’t doing all they can to secure top-flight status for a club that has been an ever-present since the Premier League began. However unfortunate this may be, we are not the club we once were. The Aston Villa of old, realistically, are a mid-table team with not a lot of recent success. And that’s the damning truth. We probably shouldn’t be in the position we are now but I wouldn’t say it’s all Lambert’s fault. He’s inherited a mess and he’s obviously doing his best to make the most of a bad situation. It’s just natural for fans to aim their vitriol at the person in the charge of the team – the manager. I’m not going to rally cry to the fans to support the team and ‘keep the faith’ – we’ve done that all season. It’s time for the management and players to give something back to those fans who have been there supporting the team all season. All of these problems outlined in this piece suggest to me that the problem lies much higher than Paul Lambert. It’s easy to point the finger at the manager, the players, the fans… but in order to really turn this mess around we need a complete rethink of our policies in order to compete. Otherwise, there is only one way we are going, and that is down. Cut the naivety, cut the stubbornness and forget the cost-cutting activities for the next week. I’m not saying let’s sign Messi, I’m saying do all you can to ensure the stability of this football club by signing two or three decent players that can help secure our safety. Then we can build on it next season. But until then, I’m looking at you Mr. Lerner… it’s make or break time. EdwardFennell Yep, that’s very true. London clubs always have that advantage since it’s a better millionaires playground for the player’s to spend their cash on. MRBAGGY Lescott has said he’s not going anywhere.